Funerals have become socially expected events following the loss of a loved one. A funeral provides surviving family members with a comforting and supportive atmosphere in which to acknowledge the death of a loved one and begin to come to terms with the passing. As the first step of the healing process, attending a funeral provides many benefits. It gives social support to the bereaved, and helps them to digest the fact that death is both final and guaranteed. Funerals assist in reintegrating mourners into the community. A funeral service facilitates the transition into life without the deceased. It provides a safe environment in which to accept and express sadness and share thoughts, feelings and memories. A funeral is an event that is meant to recognize and celebrate the relationships that the departed had. Additionally, a funeral provides a time and space to say farewell and pay your final respects. 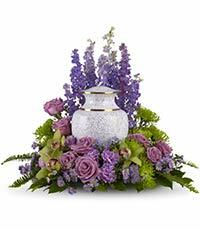 It is a funeral director’s responsibility to assist you in creating a meaningful tribute to your loved one. They should aim to provide you with the resources and accommodations required for a personalized service that suits the beliefs, lifestyle and preferences of you and your family. Serving St. George, NY as a funeral home for years, Cherubini McInerney Funeral Home is dedicated to meeting all your needs in the funeral arrangement process. One of the tasks that a funeral director assumes when helping you is to take part in notifying relatives and friends of the demise and the ensuing service. They also place funeral notices in the newspapers on your behalf. They provide supervision and direction for the funeral ceremony, and many will oversee and participate in setting up the location for the funeral. They liaise with the clergy to secure an officiant for the service and other details. They make the musical arrangements that you select and contact those who are to serve as pall bearers. If your loved one is to be interred at a distant location, the funeral director will make any necessary arrangements for the funeral service in that destination. In addition, the funeral director will often take charge of making arrangements for funeral flowers and orchestrate their display. During the service, the funeral director will advise, support and listen to you. The funeral director can further assist you with your funeral planning by arranging transportation for you and your family members before, during and post funeral. After the service, the funeral director will likely follow-up with you to offer grief support and practical assistance with unanticipated events. Please understand that a funeral and preceding viewing or visitation can be conducted even in cases where the family chooses to cremate their deceased. In such instances, the family will either purchase a specially made cremation casket or rent a coffin from the funeral home.